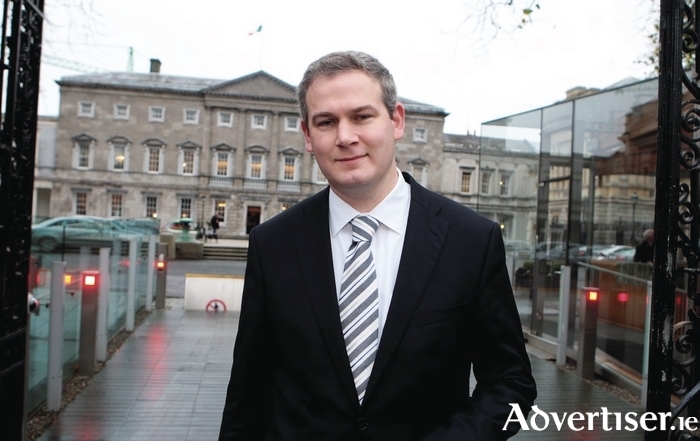 Minister of State Seán Kyne. Galway residents, businesses, and community groups are being encouraged to make their views known on the final draft of the Ireland 2040 National Planning Framework as public consultation deadline has been extended. The deadline for submissions in this last public consultation stage has been extended by one week to 12 noon on Friday November 10. The final draft Ireland 2040 Plan is available at http://npf.ie/draft-of-ireland-2040. The Minister for Community Development, Natural Resources and Digital Development, and Fine Gael TD for Galway West, Seán Kyne, is urging the public to make submissions on the plan. In relation to Galway, the plan proposes supporting the growth of the city of at least 50 per cent of the current population – or 44,000 extra people – with investment focused on improving infrastructure, housing, employment, and facilities. Key areas of focus for Galway include regeneration projects in the city, specifically the Ceannt Station area and the Headford Road as well as the core inner city; improving transport to and from the major employment centres of Parkmore, Mervue, and Ballybrit; as well as an enhanced public transport network across the city; delivery of the Galway ring road; and enabling the expansion of Galway’s third level institutions.